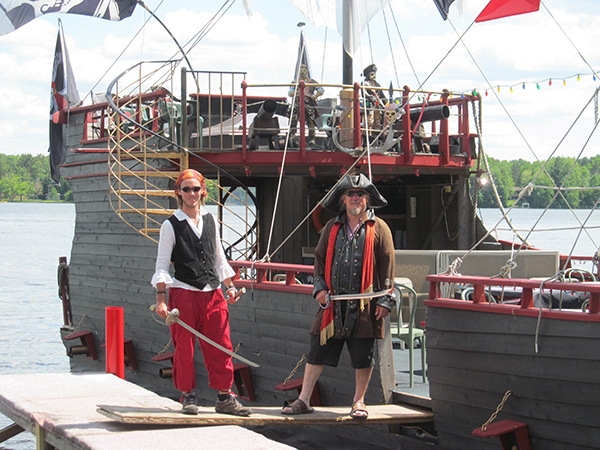 Steve and Linda Strauss, with the help of their children, set sail on a dream to build a pirate ship that would sail in the Eagle River chain of lakes during the summer months. The couple once ran a small resort on Duck Lake in Eagle River, and after recognizing a need for more family attractions in the area, they developed and pursued their vision. 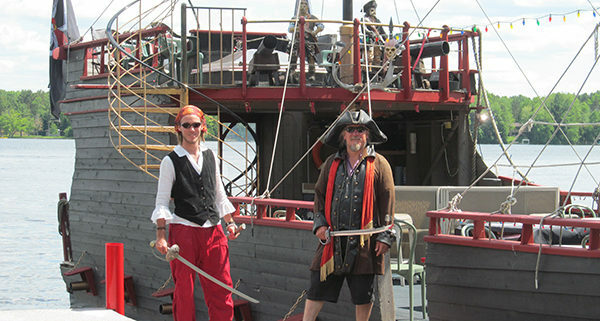 Steve said, “With my background as an area carpenter for 15 years, in 2004 I decided to finally refurbish and customize a houseboat to build our ship.” Once it was built, they officially set sail on July 4th, 2004, and Eagle River Pirates was born. Steve said they always have fun with the Angel On My Shoulder crew. They do two events through the summer, one with younger campers, and one with Camp Teen Angel. The kids each have blank white T-shirts and fabric markers. They decorate each other’s shirts, and get their shirts “tattooed” by Captain Steve, and signed by first-mate-Stevo (son Steve Strauss). “The conversations and decorating of the tees throughout the cruise provide a nice bonding experience amongst the kids,” Steve said. 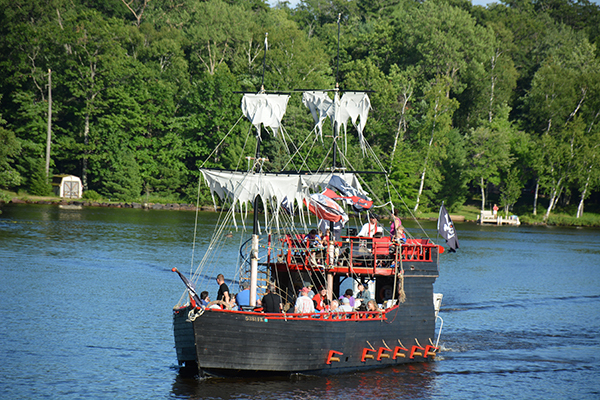 “Also, they can document their memories on the lake with one-time-use cameras.” A similar experience awaits the Teen Angels, except they’re given a shore lunch and get to walk the plank!